In the beginning of the twenty-first century, China was one of the world’s major recipients of foreign investment, while its role as an outbound investor was still insignificant. In 1999, the Chinese government issued a new going-out policy to encourage Chinese companies to invest overseas. 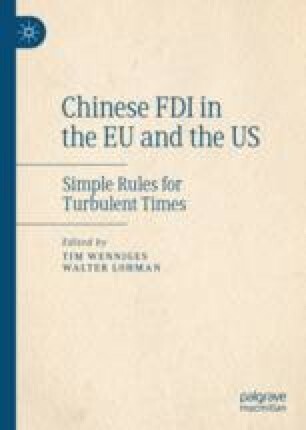 Since the mid-2000s Chinese outbound non-financial foreign direct investment (FDI) experienced a continuous, but unremarkable increase. After the global financial crisis of 2008, however, growth rates started to accelerate notably—the global financial crisis also changed the landscape of the Chinese overseas FDI. Ms Gesche Heidorn, Ms Li Wang and Dr. Deniz Tschammler provided great support for the preparation of this chapter.